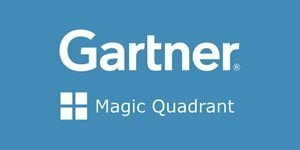 Gartner Group released its Magic Quadrant for Digital Marketing Agencies. Skydeo is happy be to working with at least one agency from each quadrant! Skydeo helps agencies better support their clients by providing rich mobile insights and behavioral analysis on over 2.5 billion mobile data points. Audience segmentation for programmatic targeting or raw data feeds to power trading desks are common use cases. We typically start off by collaborating on a few clients campaigns and expand quickly to the data science teams. Contact us if you’d like to learn more. The agency push to support business results doesn’t reduce their creative focus. Agencies recognize that even the best digital transformation strategies and technology integrations won’t work without a compelling creative layer to bring them to life. As traditional market players boost their business consulting capabilities — as MRM//McCann is doing with its emerging change management services — we see consultancies hiring creative leadership away from agencies. In some cases, firms lauded for their analytical prowess — Deloitte Digital, IBM iX and Accenture Interactive most notably — are acquiring entire creative shops. The challenge for the management consultancies — one called out by traditional agencies as a competitive weakness — is culture. How do hip creative types find inspiration from, and cultural cohesion with, their more traditional consultancy colleagues? Can these disparate approaches to strategic thinking and tactical execution be forced into a seamless solution for clients? The answer may lie in allowing those cultures to coexist, but not to merge them. 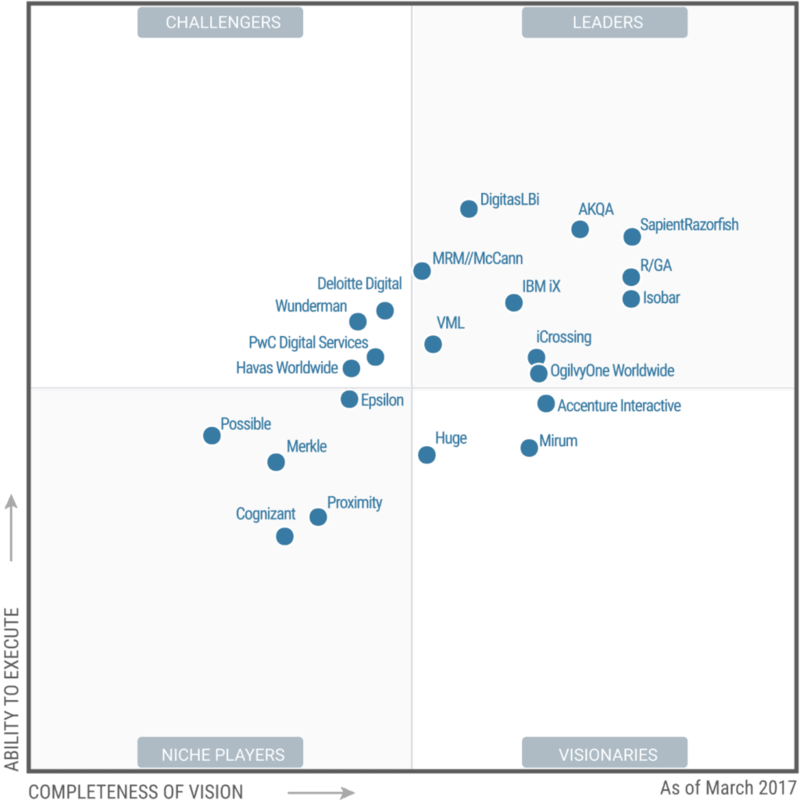 Huge, an Agency to Watch in last year’s Magic Quadrant, was added as a result of its revenue growth, which now exceeds the Magic Quadrant Inclusion Criteria minimum of $175 million. Merkle continues to invest in creative services and now offers a complete full-service digital agency solution for marketers. Epsilon ranks as the largest U.S. agency by Advertising Age. It now complements its core strengths in data and marketing operations with full-service digital marketing agency solutions for its clients. Proximity, part of Omnicom’s BBDO, offers full-service capabilities and meets all Inclusion Criteria. Contact Us to learn more about People-Based Advertising and custom Mobile Audiences.